The following view is what greeted me late yesterday afternoon from the north part of our acreage. 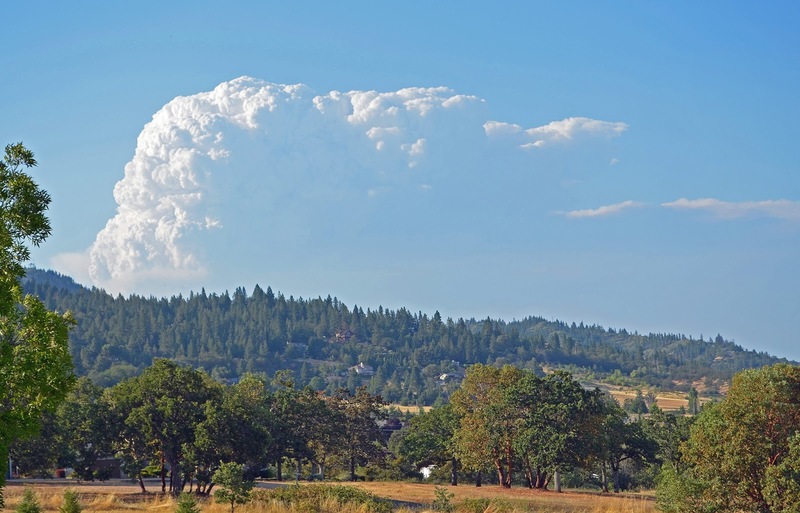 It's not a cumulonimbus cloud or thunderstorm. It's a Pyrocumulonimbus. Simply, a firestorm. Ten square miles worth (6,000 acres). And it's located just east of Seven Feathers in Canyonville. Fortunately, it's burning in a South East direction and Canyonville does not appear to be even remotely threatened. No worries. See you at Seven Feathers the first weekend in October for Canyonville 2015! 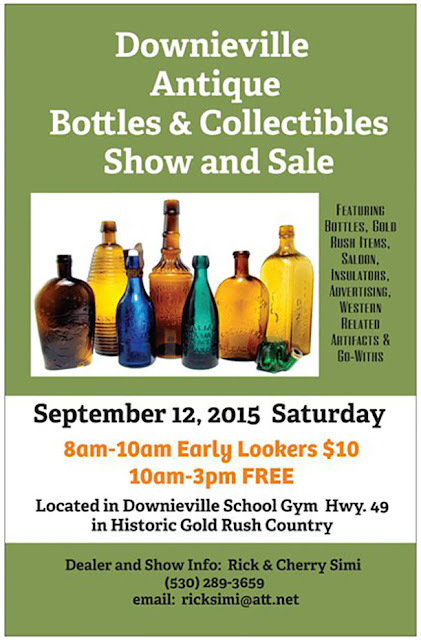 The Downieville Bottle Group is gearing up for the annual show and sale on September 12, 2015. This year show will feature a display of western blown bottles with the infamous curved R attributed to the glass works located in San Francisco. All categories of bottles will be displayed including bitters, whiskies, medicines and soda's. If you would like to display one of your western curved R bottles please contact me before August 15th to get on the list of displayers. We will have the traditional Friday night wine tasting and barbeque for the show dealers Friday September 11 starting around 5pm for the show dealers. We still have some sales tables available but are anticipating another sold out show this year. If you want a sales table you can contact Rick or Cherry, sooner would be better than later. Apologies for the lack of activity here as of late. A sudden and unexpected event on July 4th pulled us away for quite some time and put the skids on our anxiously anticipated setup at the the show. "A lot of talk at the show about Ralph Hollabird selling off his Western Soda's collection. Some "highrollers" spent some big bucks on some of his stuff. American Bottle Auctions brought a lot of items to sell outright and also brought quite a few Western Whiskies to promote for their next auction. That brought out quite a bit of interest. The show itself was at least OK for us. I noticed a somewhat light crowd for early birds and as usual the crowds came in waves at various times. But overall I enjoyed myself and catching up with others." Another reported picking up a nice Wolters Bros. / California St. for a song. Sounds like attendance was a bit light, but those that made the show came away with some great finds at fire sale prices. Deals are still to be had. Recently a good glop top whiskey popped up on eBay. The results were surprising. 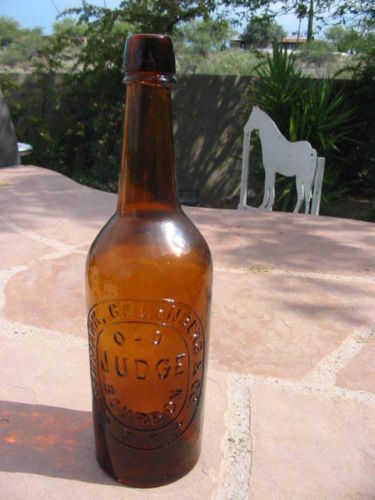 "Pacific glass works (I don't see that on the bottle) patent date on bottom 1872. 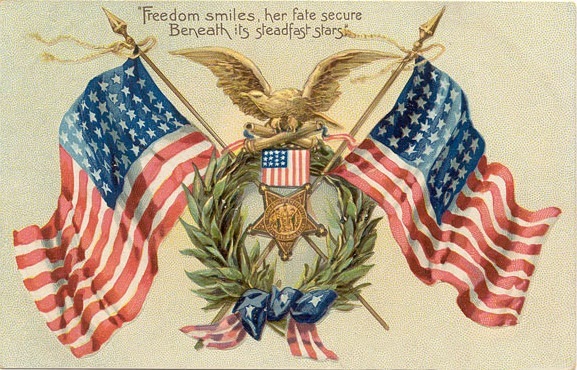 I do see the 1872 & Pat and some other numbers & letters that I cannot read. 2-1/2" bubble on the right side of the label. There are more but these really identify the bottle. better. I am no photographer. a 1/16" possible ding or chip near the bottom of the bottle (about 1/2" up from the base to the left of the embossed label). That may have been in the making...but I really don't know." I'd say someone got a buy!